George Thorne was born in London, England. He began his career in plastics in 1938 and helped to develop injection molds for the plastics industry. In 1942, he joined the Royal Air Force (RAF) and saw action in the Bomber and Coastal Command. While in the RAF, he attended the Third School of Technical Training and the London Polytechnic Institute. In the course of his career, he traveled the world and patented many plastic devices. He served for twelve years on the Executive Committee of the Society of Plastic Engineers and was elected their Fiftieth President in 1992. He delivered lectures all over the world on the design of injection molds and the history of plastics over his fifty year career. In 1999, George received the most prestigious award given by the Society of Plastics Industries (SPI), for outstanding service to the plastics industry. Veronika was born in Kiev, Russia, escaping at the age of six with her parents. She visited her birth place, for the first time, on a memorable trip in 1987. During World War II, her family resided in Germany where her father, a prominent metallurgical engineer and scientist, Boris Baranow, taught at the University of Berlin. After the war, in 1948, her family emigrated to Buenos Aires, Argentina, where she completed her studies in business. She became a freelance photographer with her own studio, specializing in black and white portraits and natural settings. Even then, she was involved with charitable organizations, especially those for Russian immigrants exiled from the USSR. Veronika also sang with the renowned Russian Choir in Buenos Aires. At a charitable Russian Ball, she met the man of her dreams and the rest is history. 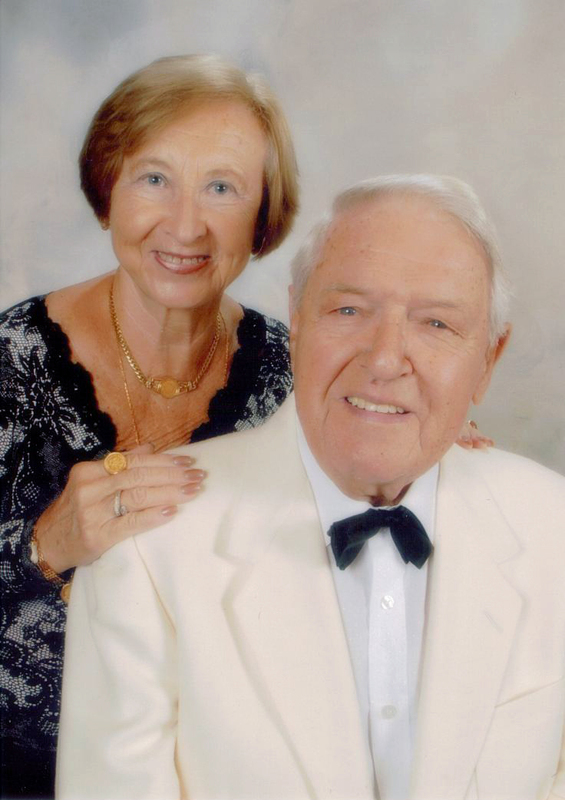 George and Veronika immigrated to the United States in 1963. They settled in Fort Lauderdale, in 1972, purchasing Industrial Plastic Products, Inc, a plastic injection molding and extrusion company, in Miami Lakes, FL. They retired from their business in June, 2006. Both George and Veronika have been strongly supportive of many charitable and cultural organizations in South Florida such as the 1000+ Club of the American Cancer Society, Florida Grand Opera, Cystic Fibrosis, Hospice Hundred, Humane Society, Royal Dames of Cancer Research, U.S. Navy League Council, and Sea Cadets. George was instrumental in securing a permanent headquarters in Fort Lauderdale for the Cadets. George is a member of the Royal Knights for Cancer Research, Broward Sheriff’s Advisory Council, Seafarer’s House and Symphony of the Americas Society. Veronika was honored in 2000 as a “Woman of Style and Substance” by the Philharmonic Society and in 2005 as the Henderson Mental Health Center “Woman of the Year”. George and Veronika have been married over fifty years and have two daughters, Tatiana Grotendorst and Valerie Hediger. They have four grandchildren: Alexei, Anastasia, Nicholas and Alexandra. They hope to devote more time to their mutual passions of travel and spending time with family and close friends. They have a zest for good living!